The Center has developed a set of Guiding Principles made up of 20 elements intended to inform and guide conversations that will enhance rite of passage strategies within your community. 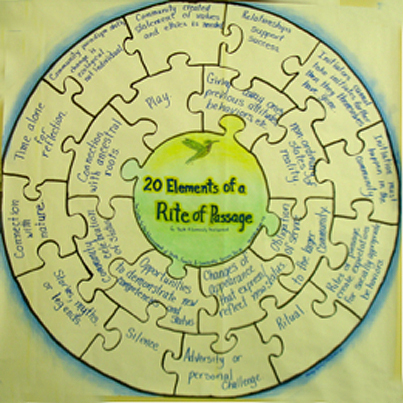 The 20 elements provide helpful markers to enhance the rite of passage experience and include many, if not all, of the design principles that are important to consider in a contemporary, community-based rite of passage. The purpose of the conversations is to see if your community’s rite of passage strategies align with the elements.